wee see – collection one from Rolyn Barthelman on Vimeo. 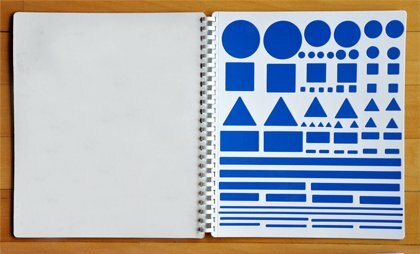 When working with drawing code – or perhaps even computer media in general – starting out with simple shapes can feel oddly uncomfortable. Perhaps as adults, we’re accustomed to dressing up our work and our identities. Using something as basic as a regular triangle can feel naked and dry. As kids, we don’t think this way. We love bright colors and simple shapes, maybe because we’re seeing everything for the first time. And maybe it’s simply that we have more imagination. (How many young kids have you seen in utter states of bliss with empty boxes and wrapping paper?) Of course, imagination and playfulness is just the state a lot of us want out of our art. That’s why it’s so encouraging to me to see the work of Rolyn Barthelman and Wee See. This is serious play: if you really master form, pattern, and motion, you can make beautiful work using nothing but elemental shapes. And it’s also playfully serious: it’s crisp, it’s minimal, but it also feels like playing around with blocks. And, okay, sure, mostly during the brilliant animations in Sesame Street as a kid I was waiting for the Muppets to reappear. Maybe I’d even appreciate that more now. Wee See found via that evergreen source of inspiration, Motionographer. wee see – collection two from Rolyn Barthelman on Vimeo. Side note on the essential nature of simple shapes: while peeking around the Creative Commons search on Flickr, I happened across this very vital use of colorform-like shapes, as photographed by scary toy clown/spezz. 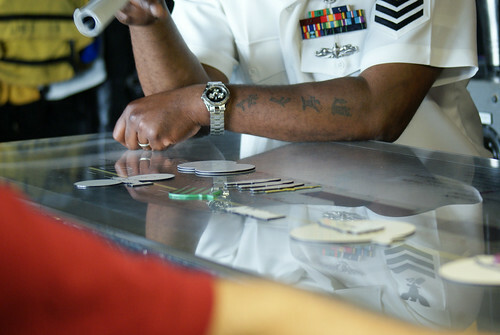 Someone with Naval experience may be able to tell me exactly what’s going on here, but I find it interesting that – as with the toy – in a military application, economy and efficiency matters. That says a lot about design.